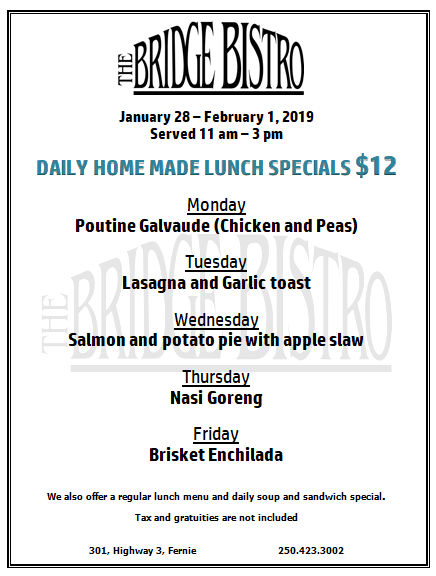 $12 Lunch specials Jan 28 – Feb 1, 2019. Presenting this weeks lunch specials. February Sunday dinners are being planned, keep checking in this week.